Day 3 - Dublin, and my birthday. Dublin, meaning "town of the hurdled ford", is the capital and most populous city of Ireland. The English name for the city is derived from the Irish name Dubhlinn, meaning "black pool". Dublin is situated near the midpoint of Ireland's east coast, at the mouth of the River Liffey and the centre of the Dublin Region. Originally found as a Viking settlement, it evolved in the the Kingdom of Dublin and became the island's principal city following the Norman invasion. I took two bus tours this day that over lapped each other more than I would like, but the afternoon one included the tasting at Guinness whereas the morning tour included a river boat tour. 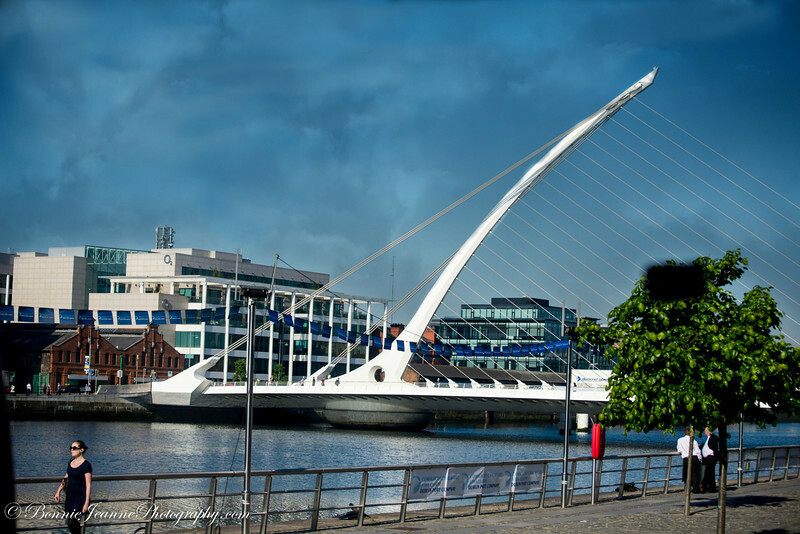 The bridges over the River Liffey are all named after authors - the newest shaped like a harp is the Samuel Beckett Bridge.